This event was designed for members to learn more about SHRM at SJSU’s mentorship program and the benefits in store. 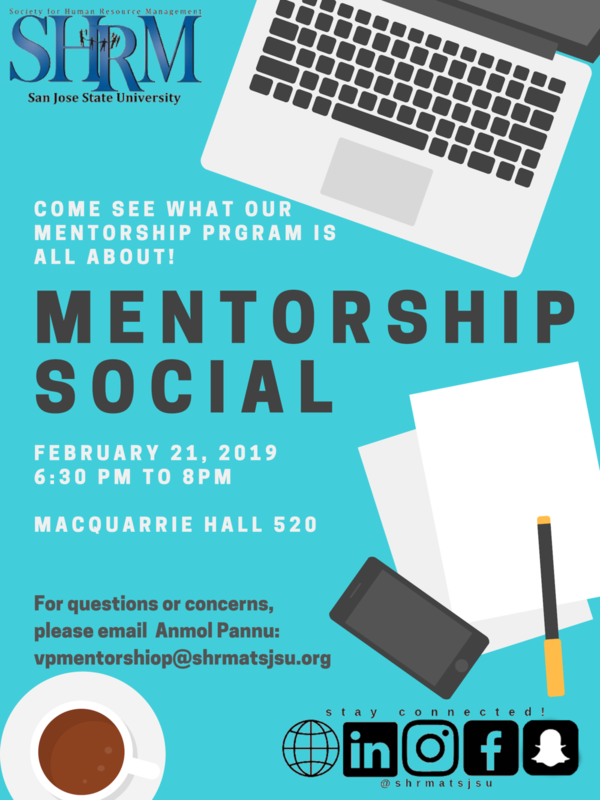 You will be able to meet and connect with some of our mentors who will be participating in the program. See you there!